One of the great traditions in modern fantasy is to recast our history through a magical lens. 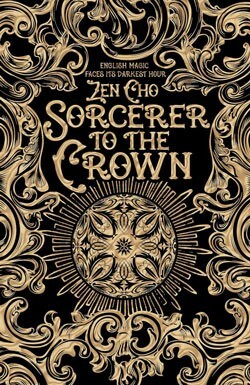 In her debut novel, Sorcerer to the Crown, the first in a planned trilogy, Zen Cho thrusts readers into an alternate history-version of Regency London heavily-influenced by magic and strained by a relationship with the Fairy king. It’s one of the year’s finest novels, and readers can expect a familiar story executed nearly flawlessly. Zacharias Wythe, the first African appointed as Sorcerer Royal (leader of England’s Royal Society of Unnatural Philosophers) is charged with leading his people through a harrowing time: the inexorable flow of Napolean’s conquest threatens the English borders, and the once-vibrant friendship between the Fairyland and the English and magic across the land is mysteriously drying up. To complicate matters, Zacharias meets Prunella Gentleman, a young woman with surprising magical powers and a lineage of profound importance. Cho’s England is cast from a centuries-old mold, but the themes she explores have never been more relevant. In many ways, Sorcerer to the Crown reminds me of last year’s The Goblin Emperor by Katherine Addison. It’s charismatic and honest, features an endearing cast of characters, who better themselves in their effort to overcome their challenges rather than sinking to match the ethics and morals of those who oppose them. Like Addison’s critically-lauded novel, Sorcerer to the Crown is the antithesis of the grimdark movement — a bright light that revels in hope and the perseverance of good people — and I can see it catching a lot of readers off guard, especially those who are sick of bloody battlefields, moralistically grey anti-heroes, and answers at the end of a blade. Cho’s England is cast from a centuries-old mould, but the themes she explores have never been more relevant , and are just as grim as anything gritty epic fantasy has to offer. Science fiction and fantasy fandom is obsessed with gender and race politics, giving rise to the hyper-political brouhahas engulfing this year’s Hugo Awards. Cho intertwines examinations of these themes throughout every aspect of Sorcerer to the Crown, pressing her characters against oppression and judgment at every turn, and watching them wriggle through with the most clever, likeable, and fascinating results. As black man thrust into a role of public authority in Regency England, Zacharias is forced to confront racism at every turn, fighting a constant battle to prove to his community that he’s not only innocent of his mentor’s murder, but a strong leader capable of guiding them through a harrowing time. The world is not kind to Zacharias. From the novel’s very first page, he is ridiculed for his age, then, as a grown man, the colour of his skin, his lack of highborn blood — yet he proves, again and again, that he is superior to those holding him in contempt in all the ways that matter: magical ability, drive, intelligence, and compassion. Opposite Zacharias is Prunella, a young witch of low birth and exceptional magical ability. Unfortunately for Prunella, and all female magic users, “feminine” magic is regarded as highly dangerous, a scourge upon society, and a threat to male magicians and sorcerers. Magic “schools” exist for these women, but, unlike Hogwarts — an environment that nurtures magical, creativity, and problem-solving — these “schools” exist solely to teach young women how to harness and suppress their latent magical abilities before they cause harm to themselves or others (ie. threaten the authority of male magicians). Early in the novel, Zacharias visits such a school to give a presentation to the young women there, Prunella included, about the dangerous of feminine magic, but finds it difficult to reconcile his personal feelings (that many of the women show incredible ingenuity and talent, even while male magicians are struggling with their dying art) with the English magic society’s official stance that magic must be stamped out of women. Zacharias, facing his own issues of prejudice and mockery from the English magic society, sees an opportunity not only right a societal wrong, but also, potentially, to solve England’s magical crisis in the process. And young Prunella appears to be the key. Miss Prunella Gentleman — daughter of a travelling magician, and precocious foil to Zacharias Wythe’s mellow, moody underpinnings — is the real star of the novel. She grows tremendously in power throughout the course of the novel, and her impact on London’s most prestigious social circles is blazing and cunningly planned. However, she never succumbs to the social mores that drag Zacharias down. She is nobody else but herself from her introduction to the novel’s final page, and it’s never anything less than amusing to see her tip London’s magical society on its head. Where Zacharias is thrust into his responsibility as Sorcerer Royal, Prunella must be more proactive in chasing her destiny, eschewing the shackles of her low birth for something more grand, buoyed by a gift from her long-dead father. Cho enjoys the juxtaposition of their natures and positions in life, forcing them to feed off of each other and find inspiration alongside frustration as they reconcile a friendship out of their shared passion for magic and desire for social change. Prunella tried to look solemn, but her delight would keep breaking out. Her countenance was so bright that Zacharias caught a smile tugging at his own lips. He made up for the lapse with a disapproving frown. At once, it shows Cho’s humour, challenges Zacharias to reconsider his perceptions of Prunella and female magicians, and teaches the reader a small thing about the mechanics of magic in the world. It’s a small scene, ultimately unimportant to the plot, but ingenious in the way it pulls so many of Cho’s strengths as a storyteller together. The other obvious comparison that comes to mind is Susanna Clarke’s Jonathan Strange & Mr Norrell, a novel that I bounced off of after a hundred pages and several short, unintended naps. Where Clarke’s novel is languid and dense, full of Regency fluffery and more tangential footnotes than a history text book — Cho’s tale of magical society is airy and approachable, bogged down only slightly by some period language (bring a thesaurus! ), and, with three hundred fewer pages, flies circles around Norrell like a sparrow harrowing a hawk. Perhaps I’m being unfair to Clarke’s seminal novel, considered by many to be a modern classic, and should re-read it with a fresh perspective, but with novelists like Cho and Mary Robinette Kowal writing such fun, engaging books in the same milieu, I feel like I can get all the meat — period England stuffed with magic and charismatic characters — without chewing through all the fat. “It takes courage to let the reader stumble over an unfamiliar voice or experience, but so often it’s those very stumbles that create the feeling of going on a journey outside our own experience, and that’s what I come to fantasy and sf and historical fiction to have,” says Naomi Novik, a long-time champion of Cho’s work, on Tor.com. “I want to let myself feel a part of another reality for a while, and Cho’s work does that brilliantly.” It’s through this idea of storytelling as a door to an alternate reality that Novik so succinctly articulates the strengths of Cho’s abilities as a writer: she does not simply tell you a story, she takes you there and plunks you right in the middle of the magic. She honed her skill writing short fiction, and this dedication shines through with her careful ability to pack a lot of story and character into a each sentence. Cho pulls no punches as she navigates all of the various social issues that plague the English magical society. This is not Harry Potter’s England, where good wizards cast patronuses and evil wizards are branded with the dark mark — this is and England where race, class, and sexuality are used as knives to bleed the oppressed. Despite this knife’s keen edge, Cho has written a novel that is immensely likeable. It’s just a joy to spend time with her characters and in her world. This is in large part due to the novel’s wonderful central storyline about the failing relationship between English thaumaturgy and Fairyland — a tale filled with twists and turns, devilish magic, seven mysterious eggs, a ghostly sorcerer, and a life-or-death bargain with a rogue magician’s familiar. Not many authors are able to wrap such an engaging and fun plot around such serious, thoughtful themes, but Cho does so with ease, delivering a novel with all the thematic weight of her short fiction, without sacrificing an ounce of fun. Like Neil Gaiman’s Stardust, Sorcerer to the Crown novel has tremendous fun in considering how our world might flourish in a time of magic. Though Cho has two planned sequels, Sorcerer to the Crown tells a complete story, while leaving just enough tantalizing to lure readers into continuing on. Prunella Gentleman has many challenges ahead. Sorcerer to the Crown is one of the finest novels of 2015. Sorcerer to the Crown is one of the finest novels of 2015. Read it for the intelligent dissection of class and race. Read it for the labyrinthine plot about failing English magic and Fairyland. Read it for the rich period drama. Read it for the characters who won’t leave you alone once you’re done. Just read it.